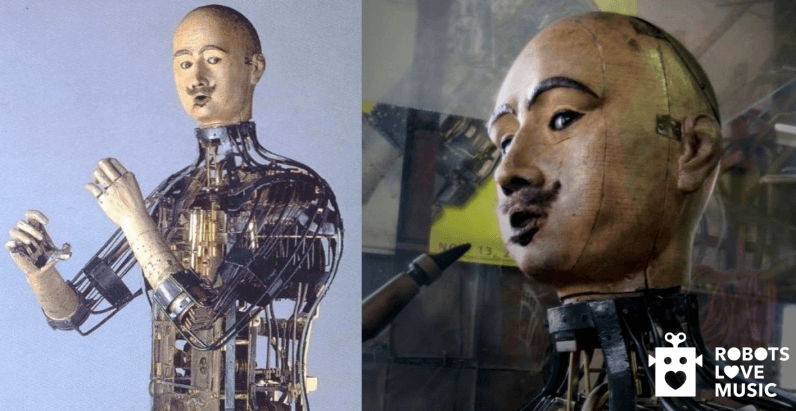 A 180 year-old robot called “The Android Clarinettist,” is scheduled to participate in a museum exhibit called “Robots Love Music” in the Netherlands later this year. Unfortunately, nobody can find its instrument. The details: Built in 1838, the ‘self-playing’ robot was created to entertain people. For the time, it was an incredibly advanced automaton – it could play the clarinet and finish its performance with a bow to the audience. The robot was traveling the world with its creator by 1839. Sometime around 1855 it ended up in the US on loan. It’s known to have survived the Barnum Museum fire of 1865, after that it became the property of different private collectors. Somewhere along the way the robot lost its clothes and any hat or wig it once wore. More importantly, it lost its clarinet. It belongs in a museum: The robot will make its appearance at the “Robots Love Music” exhibit in the Netherlands this fall with or without its instrument. But Museum Speelklok director Marian van Dijk would prefer it had the clarinet. And that’s why she’s leaving for the US on May 9, to scour the University of Michigan’s Stearn Music Collection, which consists of thousands of historical instruments. The reasoning here is that it’s believed the robot was actually once in the possession of Frederick Stearn, the collector for whom the university collection is named. Here’s hoping that the clarinet is found in the Stearn Collection. It’s the kind of win that everyone could appreciate, and 2018 needs more of those. We reached out to the University of Michigan to find out more about the search.